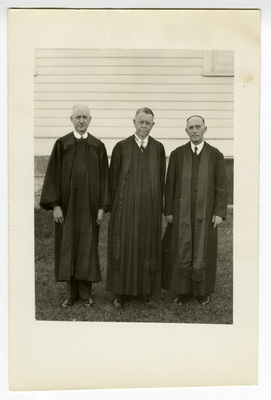 "Lutheran pastors, Little Cedar Lutheran Church, Adams, Minnesota"
Back of photo labeled: "Adams, MN? 1.unknown, 2. Dr. Nils Kleven, 3. Rev. Alfred Brevik [Brevig]."